a bright colored laundry or mudroom. 1 – 400 sq. ft.
401 – 1,600 sq. ft.
1,601 – 3,200 sq. ft. When you think about paint for your home, you might picture the rooms of your house like a kitchen or bedroom. You’re right, a fresh coat of paint or a new wall color is a quick and easy update that makes a big impact. But, there’s more to it than just wall paint. Consider all the surfaces interior paint can improve. You’ll be surprised. Re-imagine your old dresser or bookcase with some creative furniture paint. You can make old furniture look new or new furniture look old. Pro tip: Paint the back of your bookshelves an accent color to make your accessories pop. Don’t forget about your 5th wall, the ceiling. Pro tip: Paint the ceiling a shade lighter than the walls to make the room feel larger. A good rule of thumb for ceiling paint is 80 percent white mixed with 20 percent of the wall color. Paint your interior doors a color or stay with a neutral black, dark charcoal brown or grayed aqua. For most of these smaller projects you only need a gallon of paint. You can really make the room pop with the paint color of the trim, and it does not have to be a shade of white. Consider a color like taupe or black. A good rule of thumb is eggshell paint for walls and semi-gloss paint for trim. Pro Tip: Paint your trim and walls the same color to make your ceilings look taller. We improved our online paint app, Project Color. Use our updated Project Color app to inspire and help inform your decisions. Try it! •	We know inspiration can be found anywhere, so we built a paint match feature that allows you to snap a picture of any item - a painted wall, the sky or your couch – and we’ll find a paint color that matches closest. Pro Tip: Test your paint color in multiple spots of the room – close to the window, at the far wall, up by the trim and low by the floor. This will give you the best feel for how the color will appear. 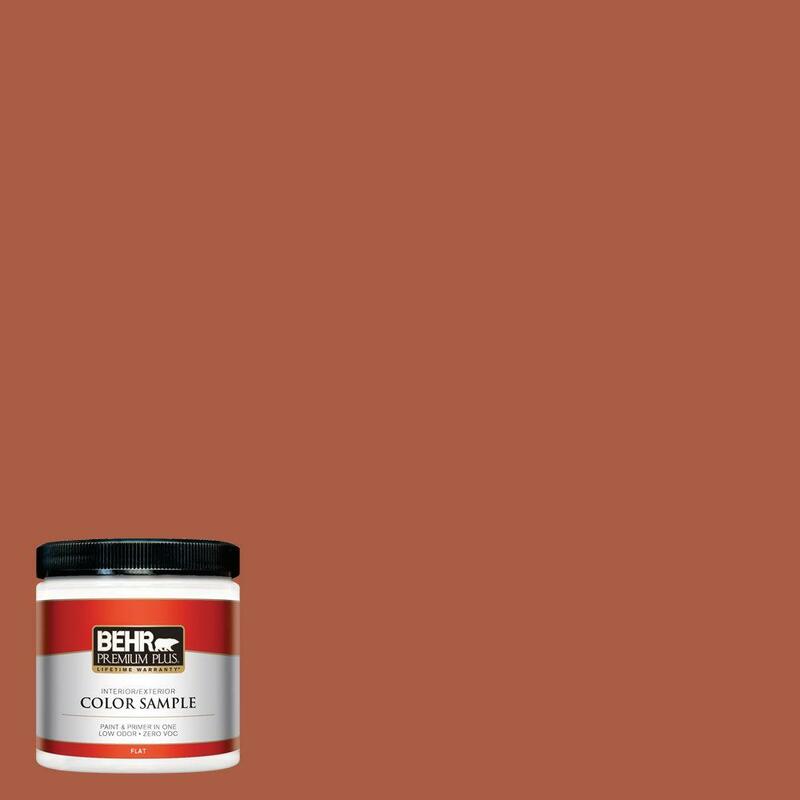 For the more adventurous in interior paint colors, we have hundreds of faux finish and metallic paint tones to choose from pinks to flash blues. Prep before you paint. Make sure you have enough paint supplies to complete your project. Get enough tarps to cover all your furniture and electronics. Tape, brushes, paint tools - we got you covered. 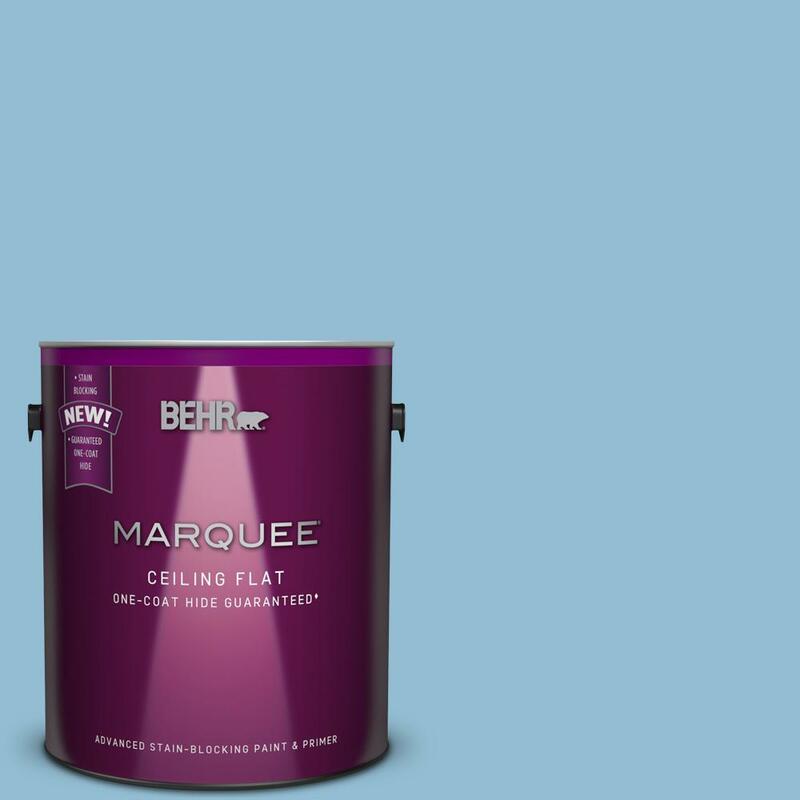 Plus, you can reap the benefits of Behr Marquee paint, a Home Depot exclusive. It dries in one hour, only takes one coat. It’s easy to clean and resists dirt and mildew.